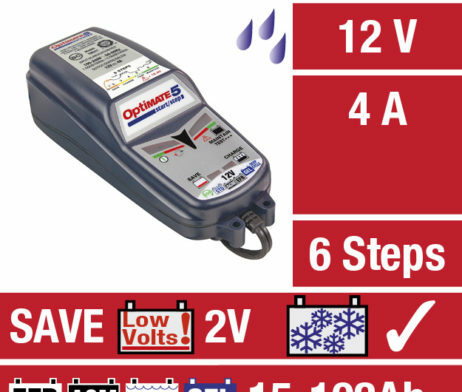 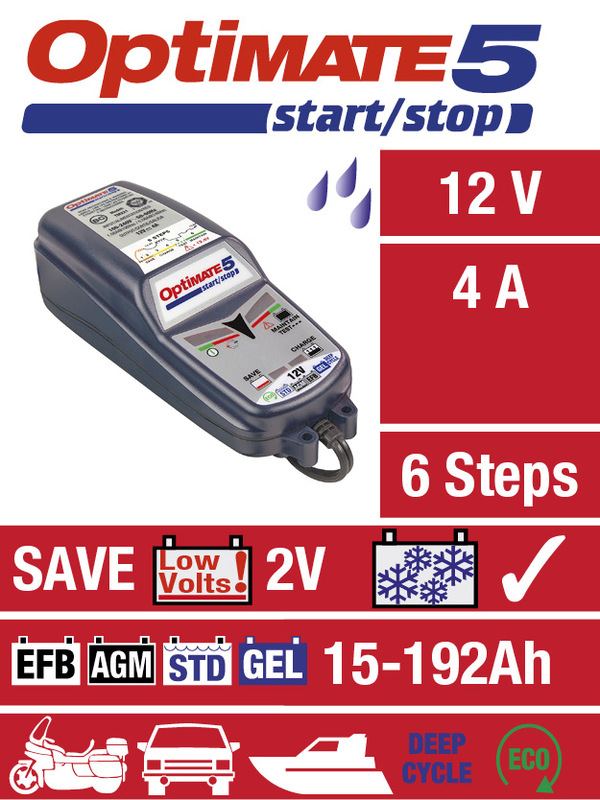 Ideal 12V care for START/STOP & Deep Cycle applications. 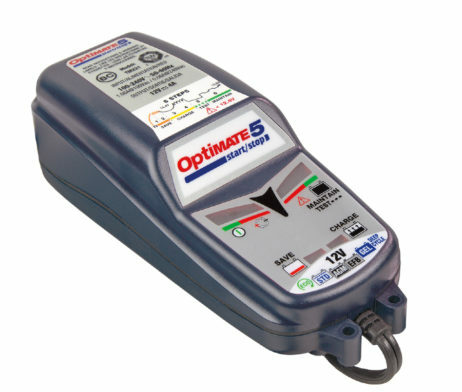 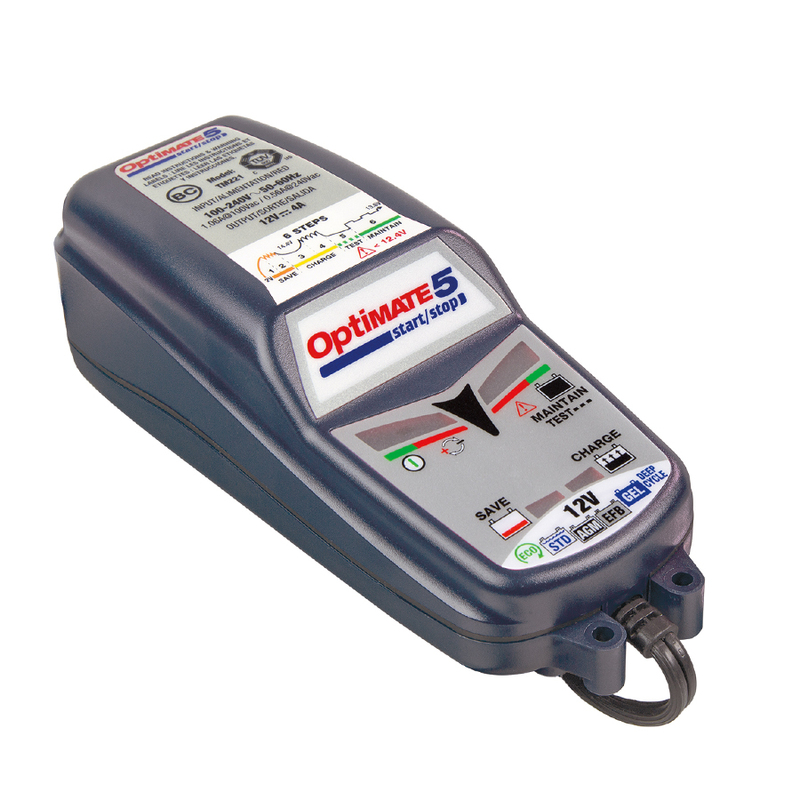 SKU: TM-220 Category: Battery Chargers Brands: Optimate. 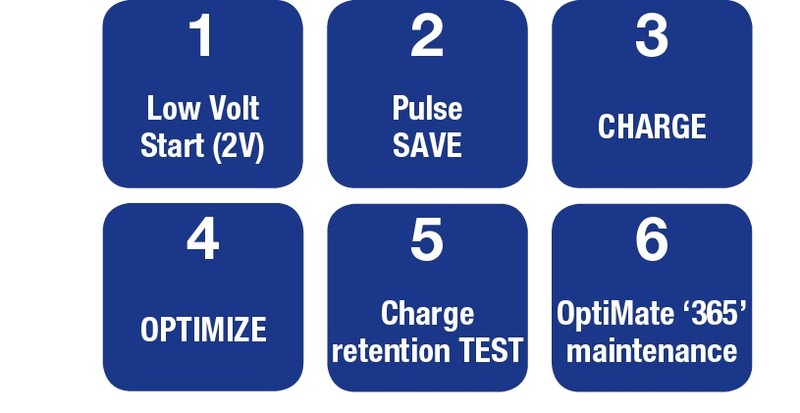 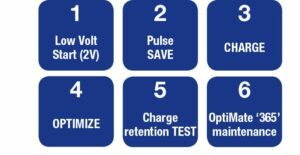 SAVE : Low Volt Start of 2V + 1-step desulphation recovery. 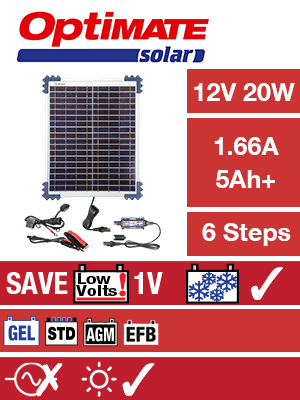 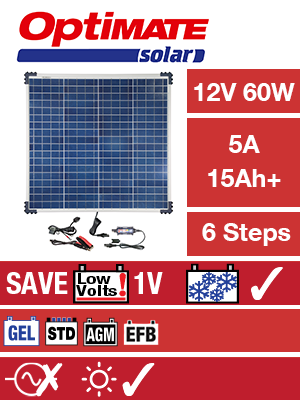 IDEAL FOR : EFB, AGM, STD & GEL 12V batteries from 15 – 192Ah. 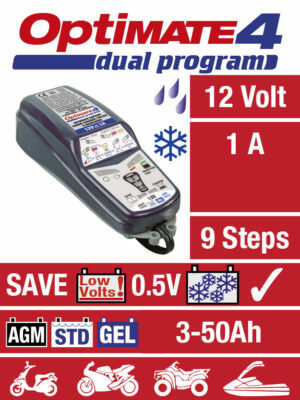 INPUT : Global (100-240V 50-60Hz), fully sealed.